Selecting the best nursing school in Michigan can be difficult. To make the process easier first look for a school that supports students towards licensure and beyond. A great way to measure this is through NCLEX-RN "pass rates." We have ranked the top 20 nursing schools in Michigan by analyzing current and historical NCLEX-RN "pass rates", meaning the percentage of graduates who pass the exam, out of the 59 RN programs in the state. Programs reviewed include schools that offer an Associate in Nursing (ADN/ASN), BSN, or Direct-Entry MSN Degree. Michigan state nurses have called on their industry to push toward a better educated workforce and are encouraging new candidates to go further in their education. The employment trend for nurses in Michigan continues to grow, with the estimated job opportunities at an astounding rate of close to 3,000 jobs per year over the next 5 years. 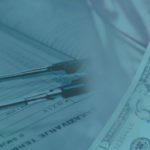 Nurses in the state also have the opportunity to reach increasing salary goals, as the Bureau of Labor Statistics reports the average annual salary for a registered nurse (RN) is currently $67,690. Those looking to enter the world of registered nursing with a short educational program are encouraged to consider an Associate's Degree in Nursing (ADN). At just 2 years in length, this degree program is one of the fastest available and appeals to those who want to start working as an RN as quickly as possible. ADN programs are commonly found at junior colleges, technical schools, and other institutions throughout the state. There are over 25 schools in Michigan that offer well-qualified and accredited ADN programs. One of the easiest ways to find a quality ADN program is to look for one that holds accreditation from some of the major nursing education associations. The Commission for Education in Nursing (ACEN) and the American Association of Colleges of Nursing's Commission on Collegiate Nursing Education (CCNE) are two of the big ones to keep an eye out for as you peruse programs. Locally, you'll want to be sure that your school and program is fully approved by the Michigan Board of Nursing. After you complete your ADN program, you'll be eligible to take the National Council Licensure Examination (NCLEX) for registered nursing. 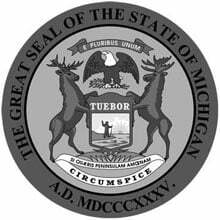 You must pass this exam in order to receive a nursing license from the Michigan Board of Nursing. Check your school's NCLEX-RN pass rates to give you a good idea of how many graduates go on to pass the exam. The American Association of Colleges of Nursing reports that in 2015, 85.9% of nursing grads in Michigan passed the NCLEX and received licenses. Mott Community College in Flint is a great example of a school that offers a fully accredited ADN program in Michigan. One of the biggest concerns most students have when they decide to enter an ADN program is how much it will cost, and how they will pay for it. You will need to account for tuition costs, mandatory fees, textbooks, uniforms, equipment, and other expenses. Don't forget indirect costs like transportation and/or room and board. If you are worried about paying for your ADN education, numerous financial aid and scholarship options are typically available for those who qualify. Your school's financial aid department can help you with this. As an example regarding cost, the total estimated cost of an ADN at Kirtland Community College is roughly $18,750 for in-district students, and $23,200 for out-of-district students. Choosing to become a registered nurse via an ADN is advantageous for many reasons. This program is accessible to lots of individuals, as many times the main criteria for attendance are a high school diploma, a minimum GPA, and completion of a selection of prerequisite courses. The 2-year timeframe of the program is also appealing to those who want to be established in their nursing career before those in longer programs are even done with their schooling. If you have budget or time constraints, an ADN is a really ideal nursing degree to pursue. Though it takes a little longer to complete, the next nursing degree option beyond an ADN is a Bachelor's of Science in Nursing (BSN). This is a traditional 4-year degree that's commonly found at larger universities throughout the state. A BSN can lead to a wider variety of nursing opportunities as well as a higher paycheck. Many schools also offer an accelerated BSN program, designed for those who hold a bachelor's degree or higher in another field, as well as an RN to BSN bridge program for current registered nurses. Michigan boasts over 25 different schools (some with campuses in multiple cities) that offer an approved and accredited BSN program. It's important to find a quality school from which to earn your BSN degree. Not only will this help you to pass your licensure exams, it will boost your resume as well. A properly accredited program is crucial, along with one that fits into your budget, has favorable program outcomes, and has knowledgeable and well-educated instructors. Most schools with nursing programs offer a general, pre-licensure BSN program, but a handful of schools will also offer specialized BSN programs. The accelerated BSN program is one of these, catering to those who already have a non-nursing degree. There are also special RN to BSN programs at some schools, designed for current RNs who want to build upon their education with a BSN. One example of a school that offers a properly accredited BSN program in the state is Finlandia University in Hancock, MI. A traditional, pre-licensure BSN program will take 8 semesters (4 years) to complete. For those eligible for the accelerated program, the length is around 15 months. Registered nurses interested in an RN to BSN can also expect a shorter timeframe, as this program clocks in at roughly 2 years from start to finish, depending on prior coursework completed. With so many different program variations, it's advised to check with your preferred school to get a full picture of program options and lengths. Costs and fees can fluctuate wildly depending on the school you choose. Typically, though, you can expect to pay for tuition, school fees, textbooks, transportation, uniforms, equipment, and more. Keep in mind that tuition is often more expensive if you are an out-of-state student. Many students receive financial aid in the form of student loans in order to pay for their program; scholarships are also an option. To provide an idea on cost, tuition for the BSN program at the University of Michigan-Flint is estimated at $489.25 per credit hour for in-state students, and $977.25 per credit hour for out-of-state students. Mandatory and additional course-related fees are not included in these tuition costs. A BSN degree is an excellent nursing degree that can be earned in a variety of different ways (traditional, accelerated, RN to BSN), making it a very versatile program. It's especially attractive for those who know they want a more advanced nursing career, as many nursing jobs require a BSN or higher. In addition to this, it's a great "stepping stone" degree that can be built upon with a graduate degree in nursing at a later date. 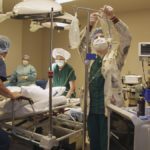 Those wanting to enter into certain advanced specialties in nursing will want to consider a Master's of Science in Nursing (MSN). This graduate level degree is required for jobs including Clinical Nurse Specialist, Family Nurse Practitioner, and more. 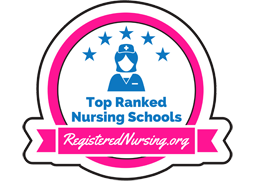 If you are interested in entering educational or administrative nursing professions, an MSN is definitely an option to look into. Keep in mind that you'll need to be an RN with a BSN degree in order to pursue an MSN. There are a handful of schools to choose from in the Michigan area that offer approved MSN programs. In general, you can expect an MSN program to last approximately 2-3 years. This can veer on the longer or shorter side depending on things like prior coursework taken and type of schedule chosen. Many MSN programs offer a degree of flexibility with part-time schedules, online courses, and more to accommodate busy working nurses. If you are going into a specialty, like Nurse-Anesthesia, you may be required to take additional coursework. 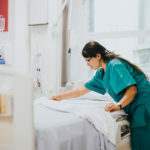 MSN programs, while costly at some schools, offer an excellent opportunity for high-responsibility nursing careers and increased salary. Like other nursing programs, costs will include tuition, fees, textbooks, equipment, and more. Tuition costs for the MSN program at Grand Valley State University in Allendale, for example, will run you approximately $661 per credit hour, not including additional fees. Entering into the world of nursing can be an easy transition. Accelerated BSN programs and bridging programs can be options for someone with a BA, but looking to transition into nursing. These programs can be taken at a few different colleges over the state of Michigan, and an accelerated program can be completed in as little as 12 to 18 months. This timeframe is for candidates that have no required courses to complete before entrance into the degree program. If there are course you must complete this will add to the amount of time to completion, as well as overall costs associated with a degree program. Wayne State University is an important part of the Detroit metroscape. With prestigious BSN and MSN degree tracks, graduates from Wayne State maximize their options for experiential learning and use those experiences to build on their ethical practice. Learn more by visiting the Wayne State University nursing website. Hope College in Holland, Michigan strives to meet the demands of Michigan healthcare. To this end, the college is proud of developing effective health communicators and advocates who improve the lives of patients and communities. Get all the program details by visiting the Hope College website. Located in Rochester, Michigan outside the metro Detroit area, Monroe County Community College is home to an acclaimed nursing program. Graduates administer treatments and medications as well as consult with patients and the healthcare team. Learn more by visiting the Monroe County Community College nursing website. Muskegon Community College is located in the heart of thriving Muskegon, Michigan. Experienced nursing faculty assist student-nurses in developing their observation, diagnosis, planning and intervention skills - much to the benefit of the individuals that they serve. Learn more by visiting the Muskegon Community College nursing website. Kalamazoo, Michigan is home to Western Michigan University. The university has renowned BSN and MSN degree programs for both pre-licensure and transfer students. WMU graduates specialize in proactive health teaching and counseling. Visit the Western Michigan University nursing website to learn more. Andrews University, located in Barrien Springs, offers a pre-licensure BSN program that is board-approved and fully accredited by ACEN. The program can be completed in 8 semesters, and the curriculum focuses on professional study, as well as education in arts, humanities, and sciences. Hands-on experience is also provided. Visit the Andrews University nursing website to learn more. Michigan State University in East Lansing, Michigan is home to fast-paced BSN and MSN degree tracks. Graduates excel at using assessment tools and techniques while consulting with patients and the healthcare team. Get all the program details by visiting the Michigan State University website. St. Clair County Community College is part of the Port Huron community. Graduates promote community and individual wellness and illness prevention in order to have a community of healthy families. Follow the link to learn more about the St. Clair County Community College nursing program. Lake Michigan College is located in bustling Benton Harbor, Michigan. The college's reputable nursing program strives to produce graduates who work well in the dynamic and innovative profession and who are well suited to a number of medical environments. Check out the official Lake Michigan College nursing program. 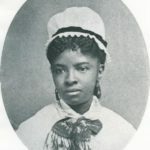 University of Michigan in Ann Arbor, Michigan is home to nursing students intent on a BSN or MSN degree - sometimes both. In this mix of rural and urban environments, first-rate clinical placements mean extremely capable nurses are the result. Follow the link to learn more about the University of Michigan nursing program. Calvin College in Grand Rapids, Michigan strives to fill healthcare gaps in state and beyond. CC graduates excel in engaging clients in assessing their health in a holistic fashion in order to make appropriate assessment and intervention. Get all the program details by visiting the Calvin College website. Marquette’s Northern Michigan University provides an excellent BSN program aimed at giving students the knowledge and education necessary to develop expert clinical skills. This program is career-oriented, and provides students with access to state-of-the-art audio visual and computer equipment, along with a simulated learning lab. Follow the link to learn more about the Northern Michigan University nursing program. Muskegon is home to a Baker College campus. With elite and innovative programming Baker College graduates are patient-focused and ready to meet state and federal changes in healthcare. Get all the program details by visiting the Baker College - Muskegon website. The University of Michigan’s Flint campus offers multiple RN pathways, including a traditional BSN as well as an accelerated second-degree BSN program for those who have previously earned a bachelor’s degree but have not yet received an RN license. They also offer a Veteran’s BSN program open to all honorably or generally discharged medics and service members with healthcare training. These excellent programs are selective and competitive, and prepare students for success in the nursing industry. Check out the official University of Michigan - Flint nursing program. Situated in Dowagiac, Southwestern Michigan College has prepared nearly 3,000 nursing grads via their ADN program. As of Spring 2019, they will also have a newly renovated, state-of-the-art nursing and health services facility. The goal of SMC’s nursing program is to prepare knowledgeable and compassionate nurses through hands-on experiences, small class sizes, and much more. Learn more by visiting the Southwestern Michigan College nursing website. Baker College - Clinton Township is located just outside of Sterling Heights, Michigan. Nursing graduates have substantial specialized knowledge and exercise their professional judgement within a precise ethical framework - welcomed in medical circles. Get all the program details by visiting the Baker College - Clinton Township website. Grand Valley State University in Allendale is located just west of Grand Rapids. The nursing program is highly regarded and graduate are skilled at ongoing assessment of client health states and physiological needs. Visit the Grand Valley State University nursing website to learn more. Delta College in University Center pushes nursing students to use their clinical judgment to promote the best standard of patient care. Area clinics and institutions are happy and proud to welcome Delta nursing graduates into their practice. Learn more by visiting the Delta College nursing website. Livonia’s Schoolcraft College offers an associate’s degree pathway in nursing for those who wish to become RNs. Upon completion of this rigorous program, students are eligible to sit for the NCLEX-RN exam to gain licensure, or they will have the educational foundation to move on to a BSN degree. Visit the Schoolcraft College nursing website to learn more. Grand Rapids Community College is located in the bustling community of Grand Rapids, Michigan. With a highly commendable nursing program, GRCC students graduate ready to seek employment both in the immediate area and farther afield. Learn more by visiting the Grand Rapids Community College nursing website.